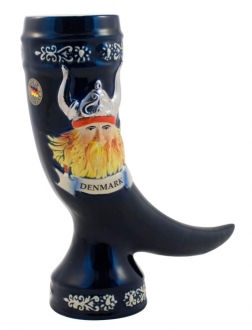 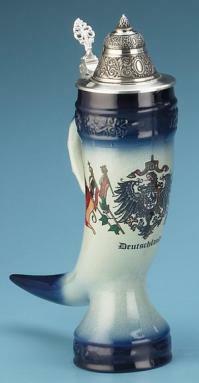 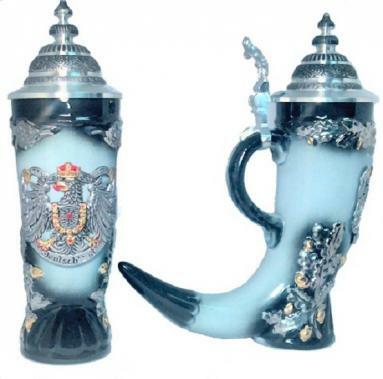 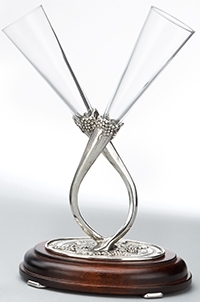 This beautiful horn beer stein was handcrafted in Germany by Zoeller & Born. 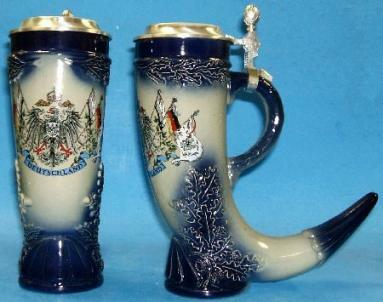 This German beer stein features a pewter eagle with red and gold hand painted accents. 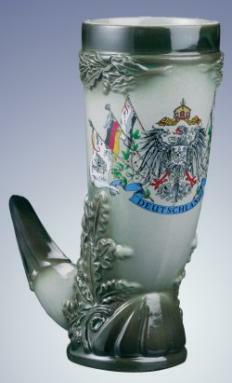 The pewter eagle also says Deutschland. 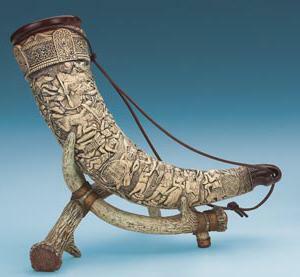 The sides of the horn also have raised relief accents hand painted in silver and gold color.